God has blessed us with many opportunities. One of these blessings has been training teacher in our area that are working with special needs children. God has brought us to this place at just the right time. 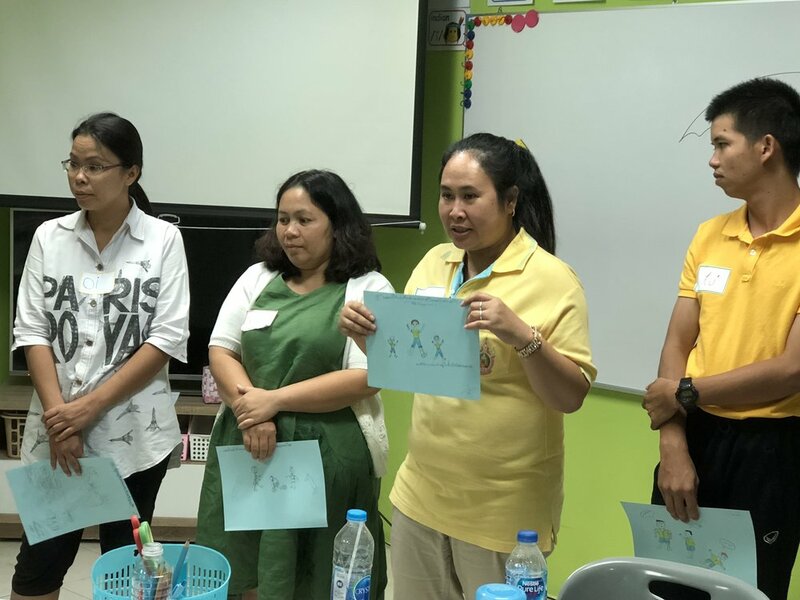 Thailand has goals to take care of Thai special needs children. We have been sent to to use our God given skills and training to assist the Thai people. We will train every other Friday for ten weeks. They have opportunities to learn in groups and teach the rest of the group. We have been able to supply the tools for the teachers to take some of these ideas and implement the activities into their classrooms.